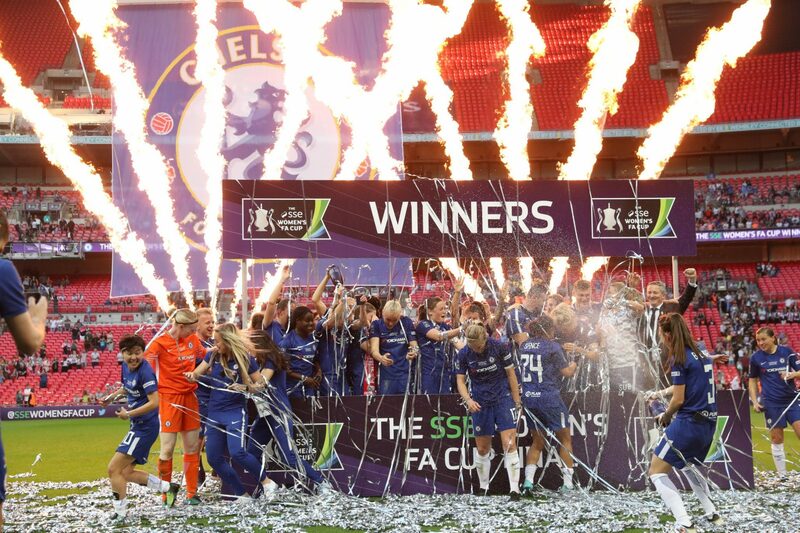 A twelve-minute Ramona Bachmann brace early in the second half set Chelsea on the way to a 3-1 SSE Women’s FA Cup Final win over Arsenal at Wembley, watched by a record crowd of 45,423. 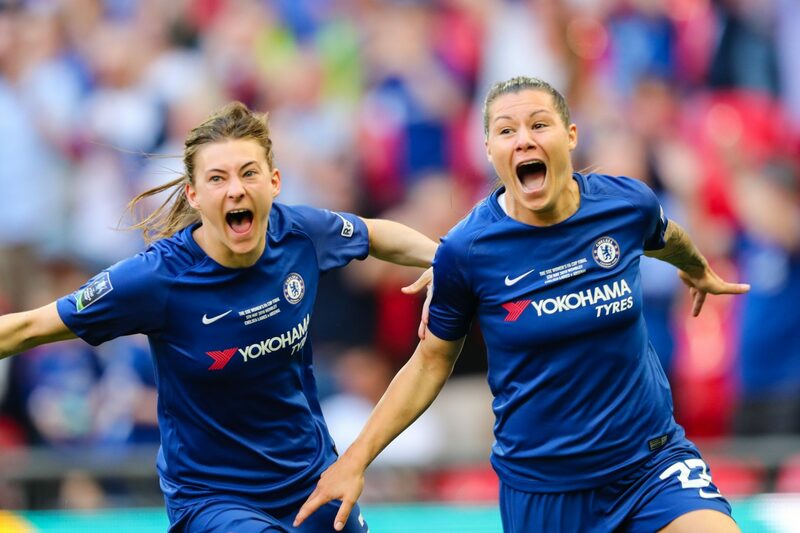 Chelsea dealt with some early balls into the box from Beth Mead and Jordan Nobbs and then had the first real chance themselves, Bachmann making a clever turn to find space in the box but dragging the ball wide of the far post. 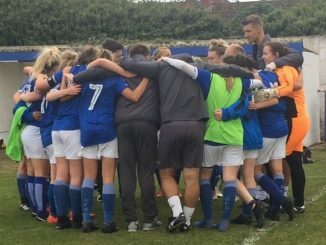 Mead got clear on the left after a mis-judgement by Millie Bright but Maren Mjelde was swift to win back possession, before Louise Quinn headed over from a Nobbs free kick. 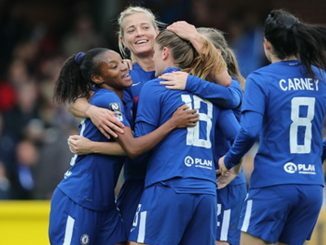 Vivianne Miedema had a good chance deflected for a corner after Chelsea struggled to clear and a few minutes later at the other end, Fran Kirby forced a save from Sari van Veenendaal. Dominiue Jannsen lost the ball and was then booked for fouling Ji So-Yun 20 yards out. Ji’s rebound from her own free kick was saved and moments later she shot just over the bar after Bachmann and Kirby combined to good effect. 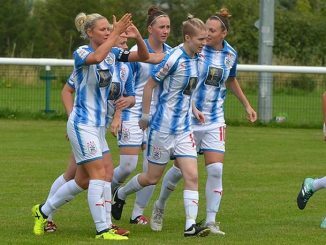 After a goalless first half, the second was barely 2 minutes old when Kirby slipped Bachmann through to thump the ball into the near top corner. 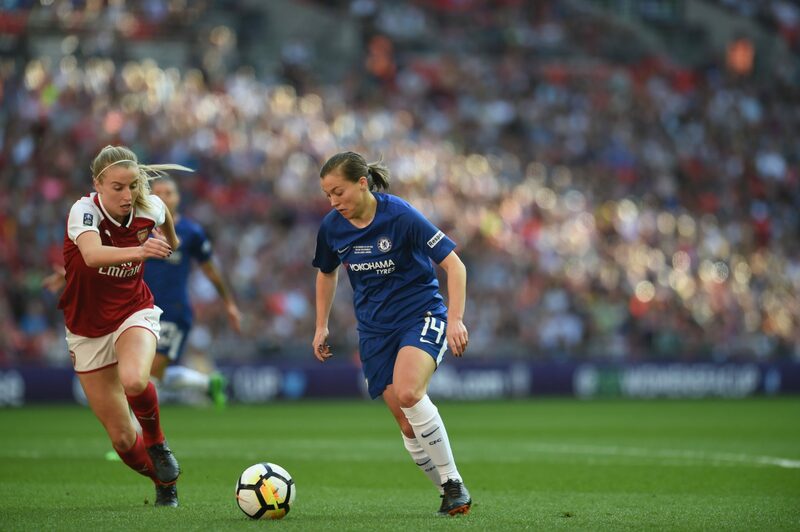 Arsenal responded with their first shot on target, Mead’s strike spilled by Hedvig Lindahl before Miedema failed to take advantage of Kim Little’s ball into the box. Bachmann made it two goals in a dozen minutes when cutting in on the right, her strike glancing off Quinn and dropping into the far corner. Van Veenendaal needed two goes to gather a header by Mjelde to keep the Gunners in the game and with 17 minutes left they seemed to be right back in it, Miedema finishing after Mead slipped the ball back from the bye line. However, less than 3 later and Kirby had driven into the box and fired her team’s third into the bottom corner. It might have been four as Eniola Aluko came off the bench and had a sharp shot turned round the post.